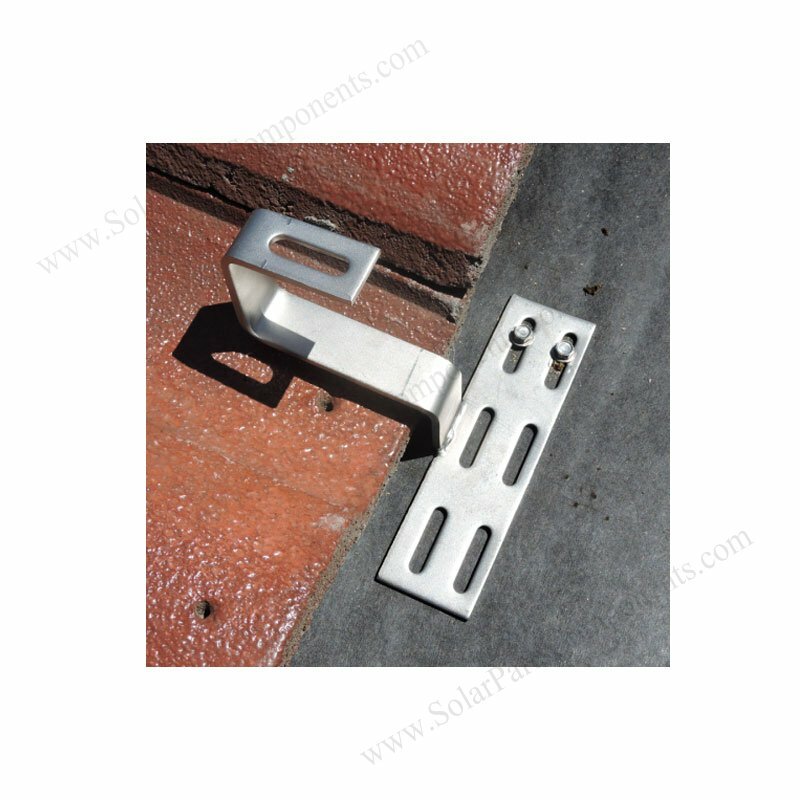 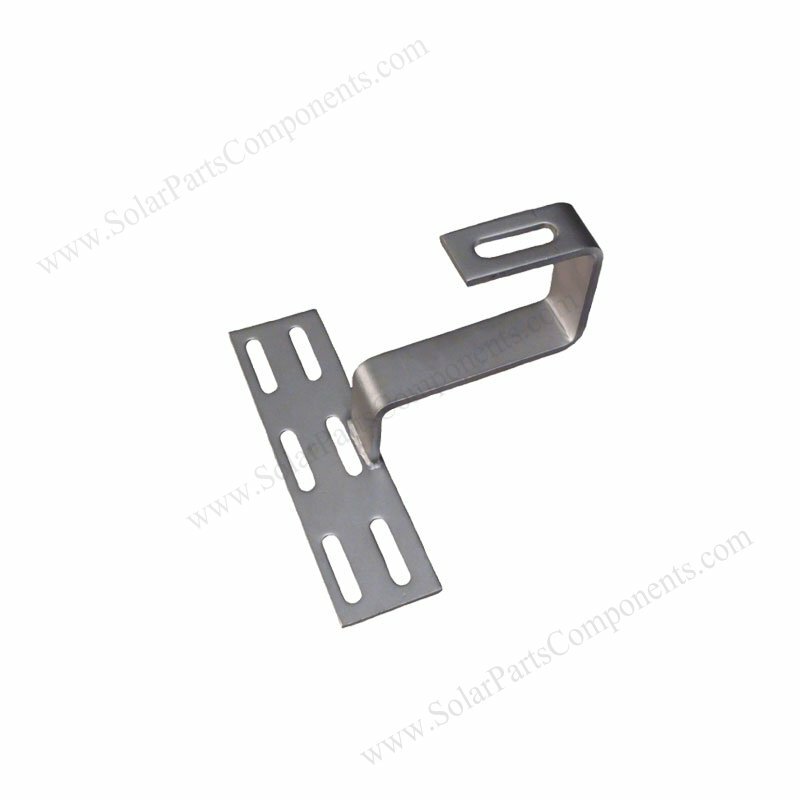 Our non-adjustable solar hooks are designed for bottom mounting, it’s 180 degrees parallel with solar panels. 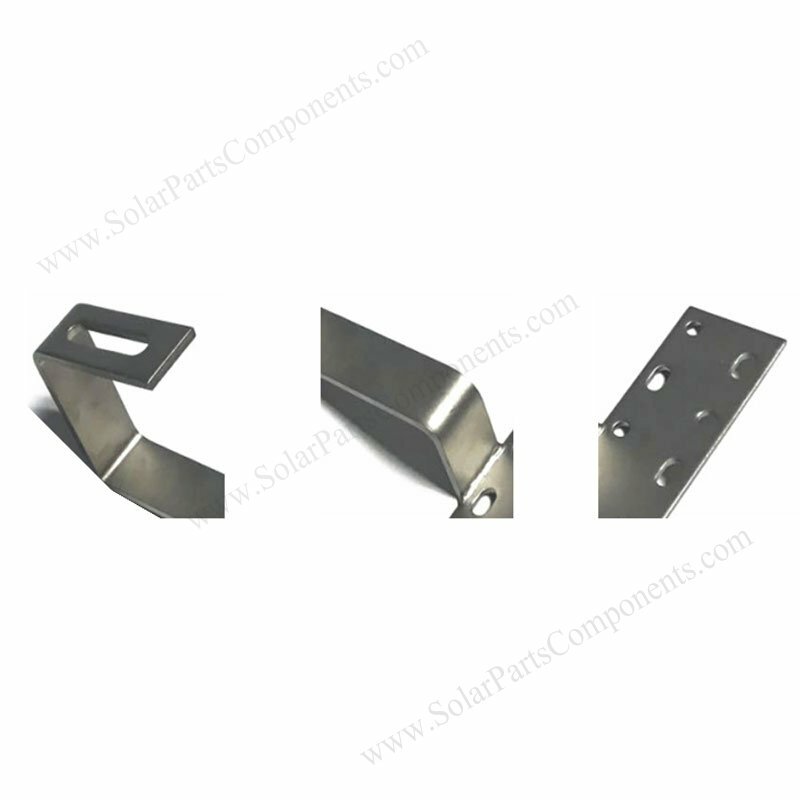 This curved tile roofing hooks are fixed in height and made of SUS 304 stainless steel. 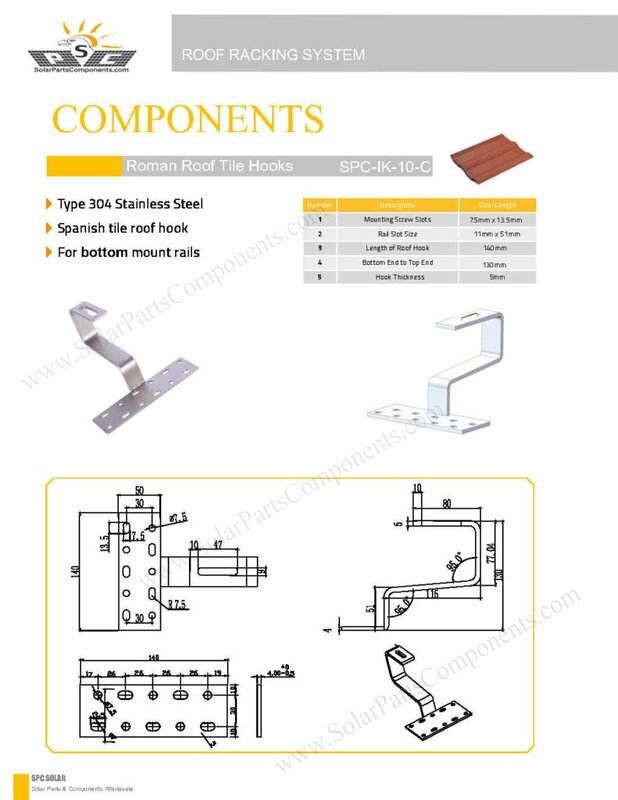 Choosing our matched bolts, nuts, screws , installers can finished pitched Roman tile projects quickly and labor effective. 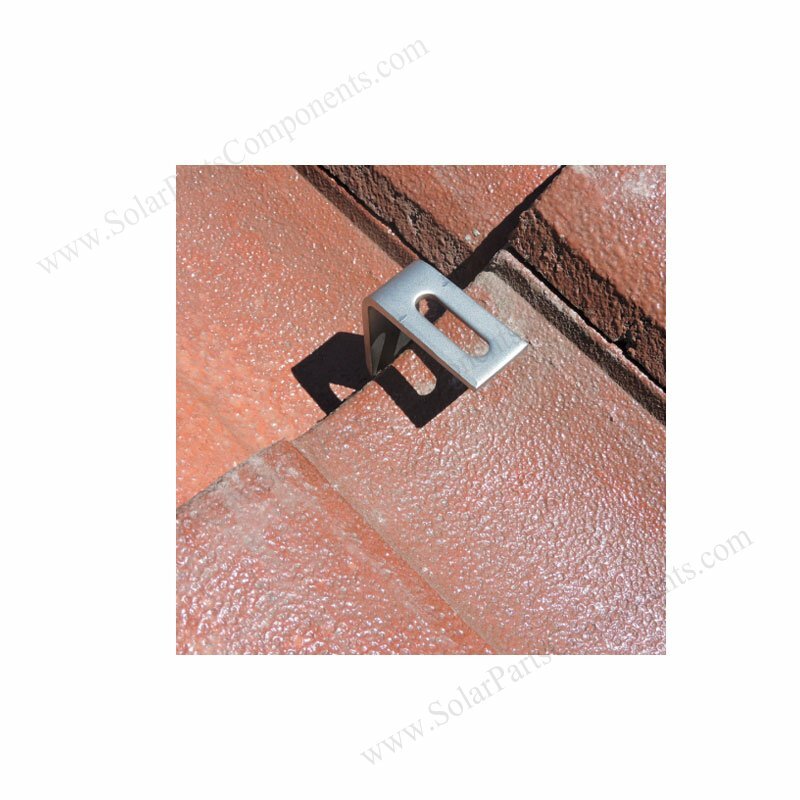 Our optional solar component T mid-blocks is made of premium Alum with anodizing surface finishint. 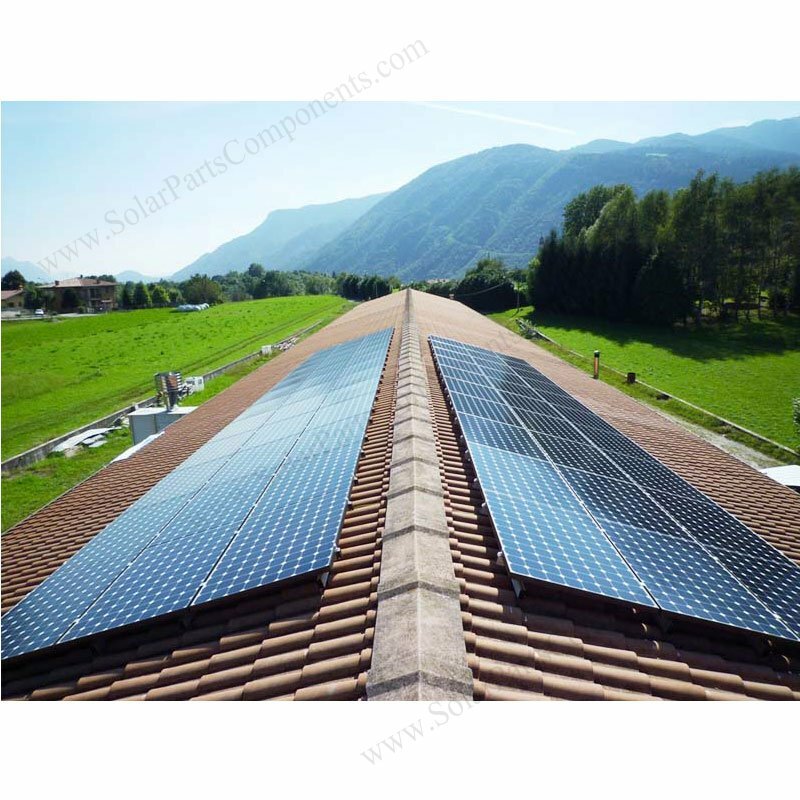 Whatever for vertical or horizontal PV panels installation . 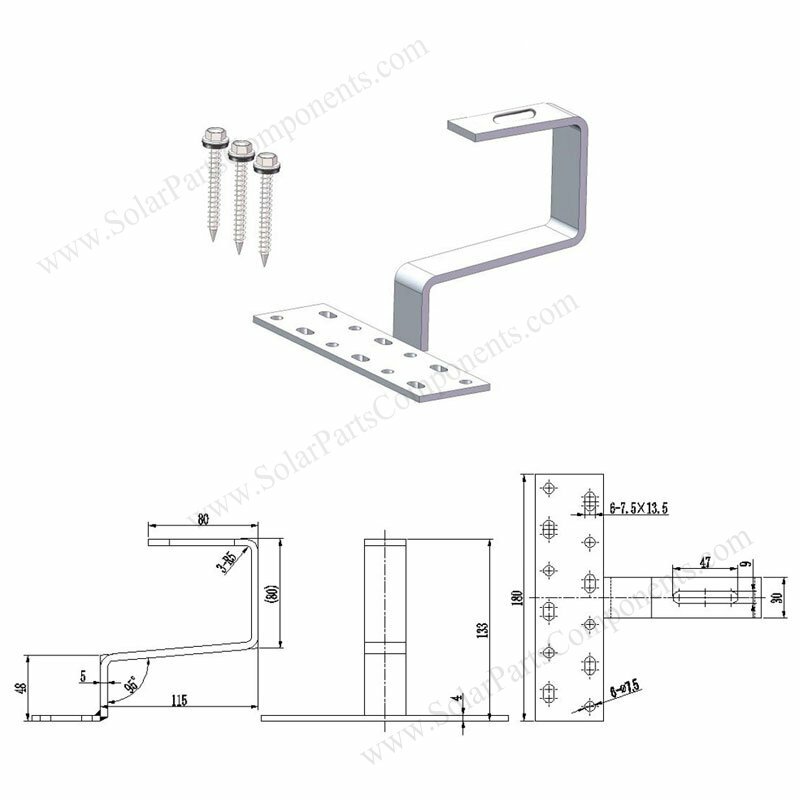 None adjustable solar PV structure should be accompanied with projects with whole solar kits . 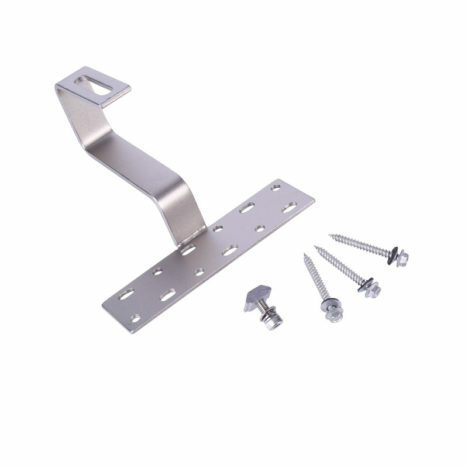 Long life span : Offer 10-Years Warranty for our Bottom mounted rails roofing hooks . 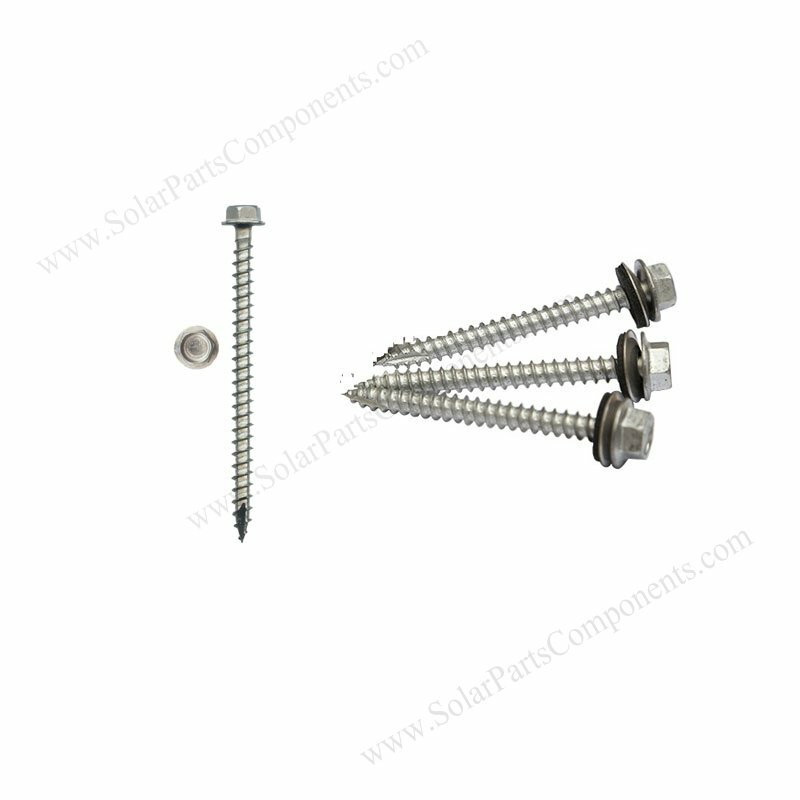 Hex Sharp-point screw with washer .